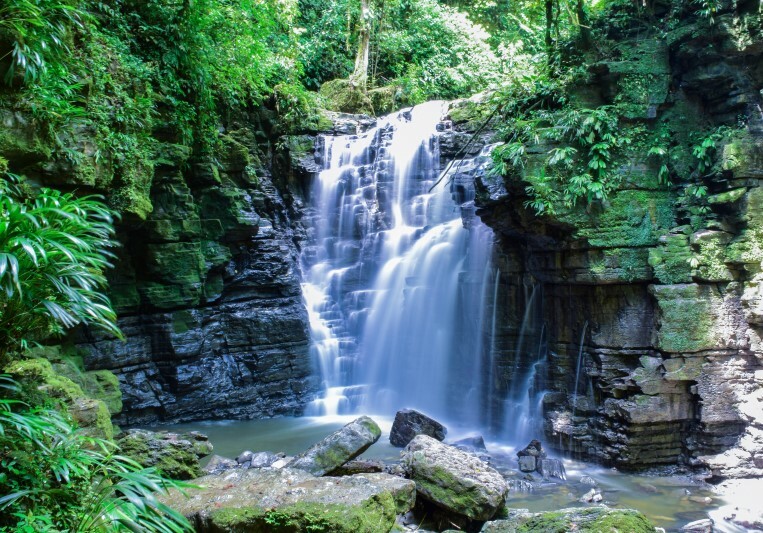 Las Latas Waterfall is located 12 km from Puerto Misahuallí, on the left side of the road. 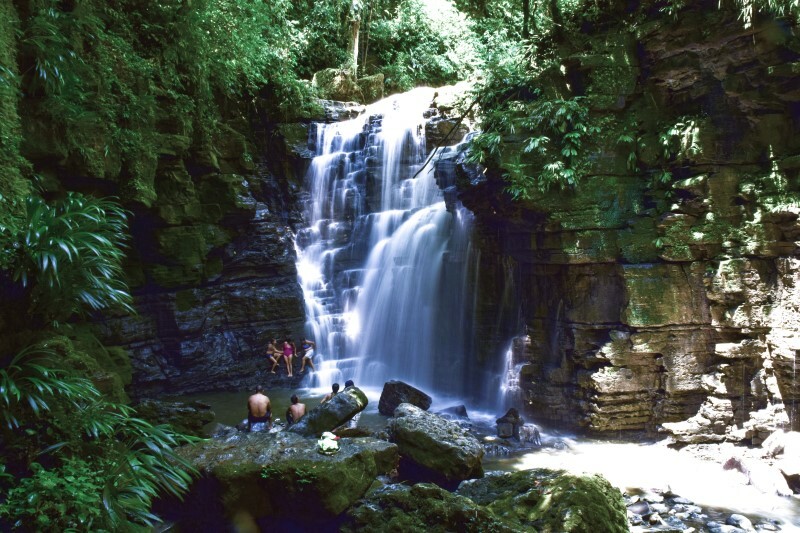 At the moment of entering the place, you will find a large parking lot, where you can rent rubber boots, in case you do not have them or you intend to use them, you should also note that the access and full route to the last waterfall is found in perfect conditions and the maintenance is constant. 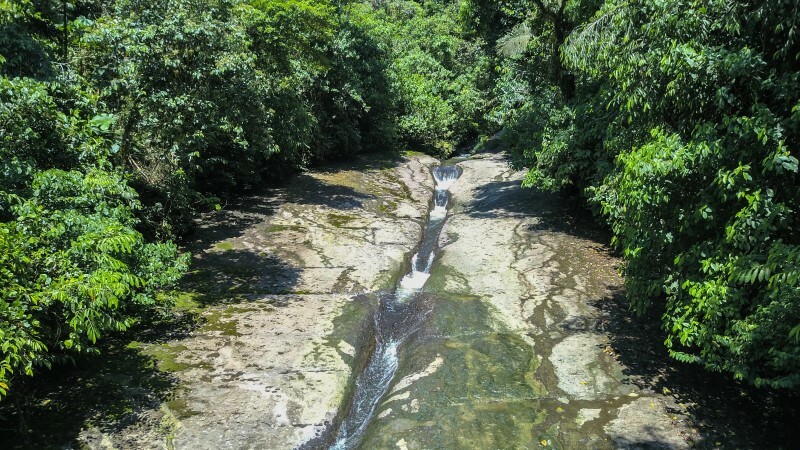 Along the way we can admire and enjoy 3 waterfalls, a variety of flora such as ceibo, chontaduro, arrayán, guarango, vanilla orchid, chiriguayusa, laurel, yagual, olive, yellow cinnamon, cocoa, platanillos, straw shawl, guadúa, besides finding marine fossils. 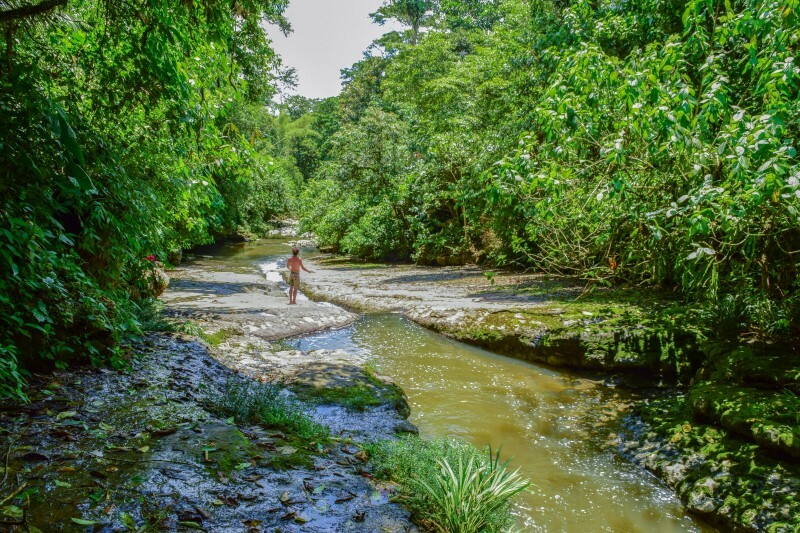 After canceling a value of $ 1.50 per person to access the route, you will have access to the first drop of water, which also gives us a space to swim and refresh the heat of the Amazon rainforest offers. 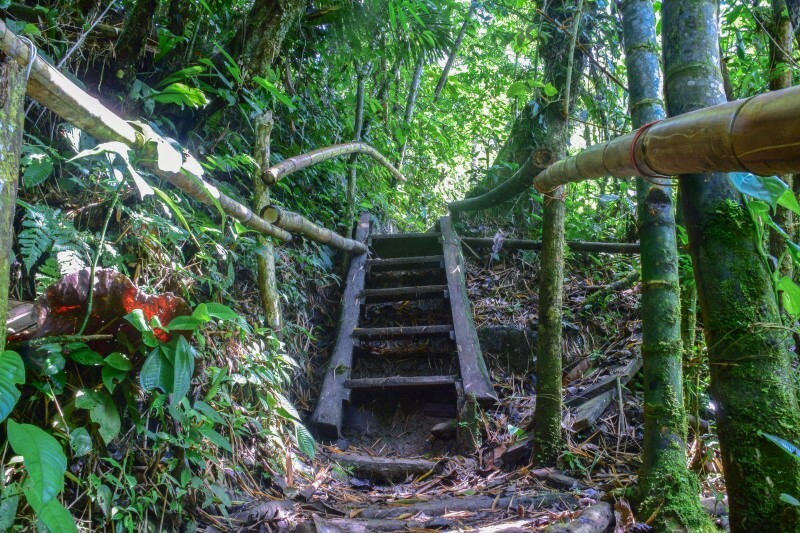 The route to reach the last waterfall could last between 30 to 45 minutes, depending on how long we take to enjoy the other wonders it offers and also the physical state that we maintain. 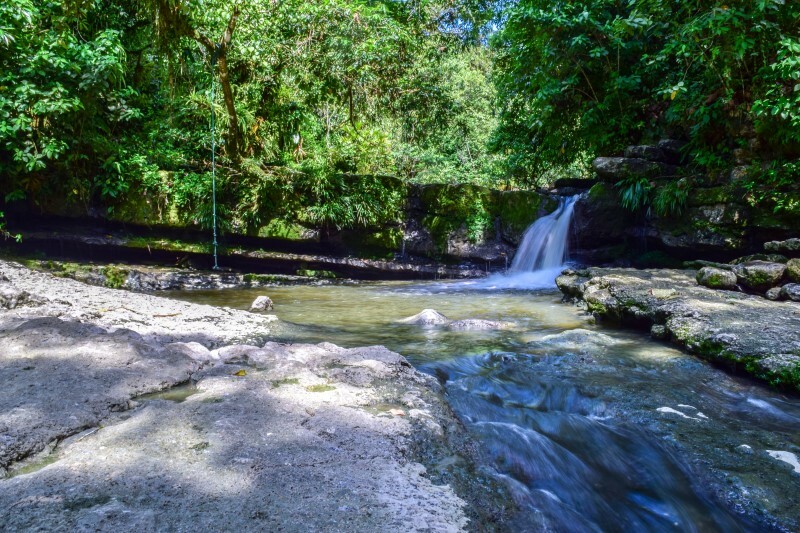 After traveling 5-7 minutes from the waterfall waterfall, you will find a natural slide that has been formed over the years with the force of nature. National and foreign tourists enjoy this magical place, here you can rest a moment and slide down the natural slide and live an extreme experience. Continuing our journey along a very well marked path along the riverbed, the walk takes place on a muddy trail, with very attractive river crossings. and truly exciting. 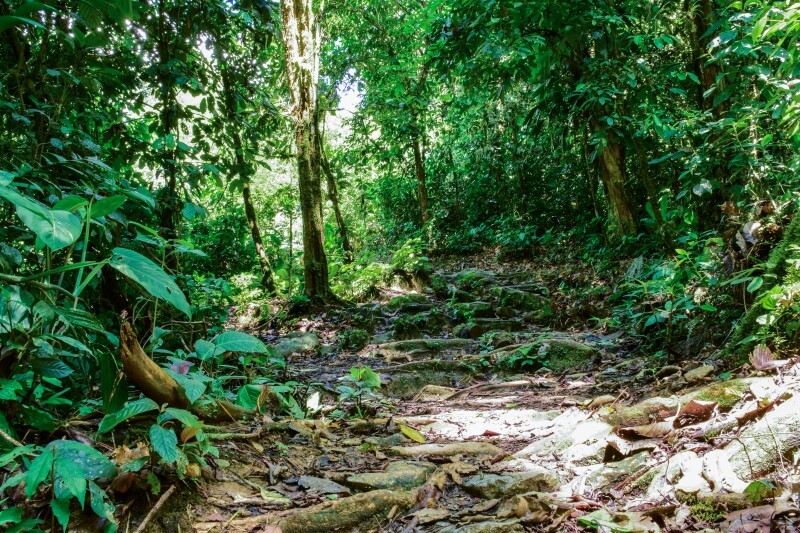 In this tour if you have any luck you will have the opportunity to listen to the songs of different birds, see some species of butterflies that fly throughout the tour, and not to mention all the exuberant flora that surrounds and characterizes the Ecuadorian Amazon rainforest. The route and the effort that you will dedicate to reach the last waterfall will be rewarded with a lot. 20 meters from the last waterfall, you will have to cross the river, for this we ask that you be careful, since the riverbed has some large rocks. Las Castas de Latas, are appreciated by national and foreign tourists who travel from different parts to enjoy all the wonders that it offers. Wear comfortable shoes or rubber boots. Water to stay always hydrated. Camera, to capture this adventure. Ziploc bags, to store your belongings in case of a rain, which are characteristics of the sector. In the place the telephone signal is limited, so before going to the place inform to some relative so that they are attentive. To stay you can do it through Camping or advance to Misahuallí where there is a varied hotel and gastronomic offer. If you have any questions or comments do not hesitate to do it, by contacting us at info@goecuador.net.